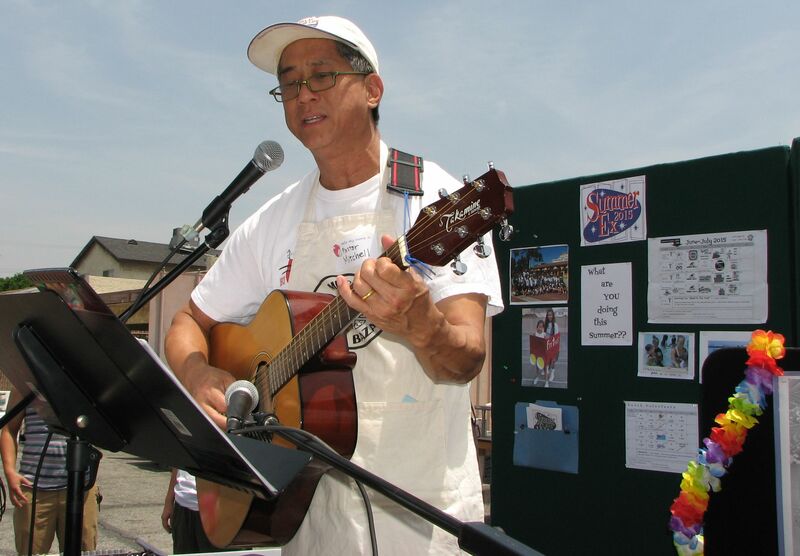 Montebello Plymouth Congregational Church held its 58th annual bazaar on May 30. 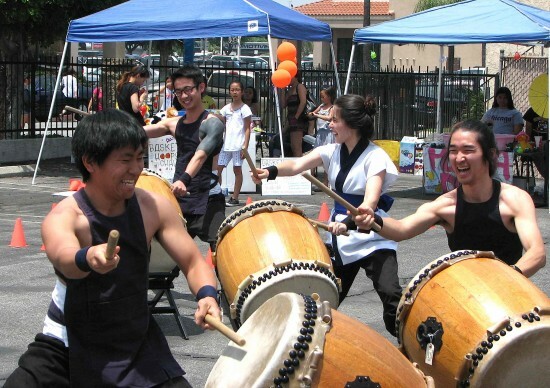 Entertainment included the Jodaiko drumming ensemble from UC Irvine (pictured), Kai Wai Ola Mau Loa, MPCC Worship Team, Ohana Kulu a’o Hula Hula, and Koinonos Praise Band. Pastor Mitchell Young welcomed everyone and performed popular songs, sometimes changing the lyrics to reflect a teriyaki theme. 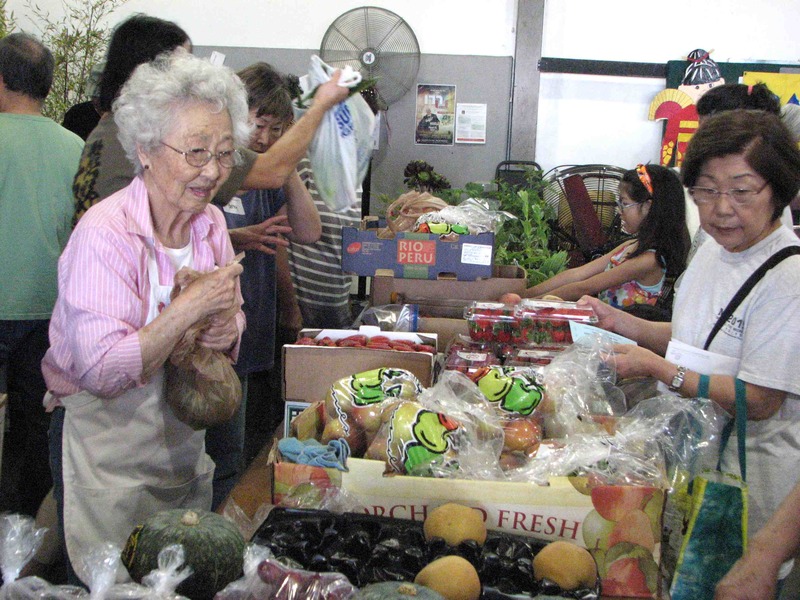 Menu items included won ton (above), shave ice (below left), chicken and beef teriyaki (below right), somen, Spam musubi, hot dogs, and baked goods. The event also featured produce sales (pictured), crafts, and raffle drawings.